The Jungle Body is a global fitness and exercise company, transforming the industry with a range of sweat-inducing and easy-to-follow workouts, taught by instructors across the globe. 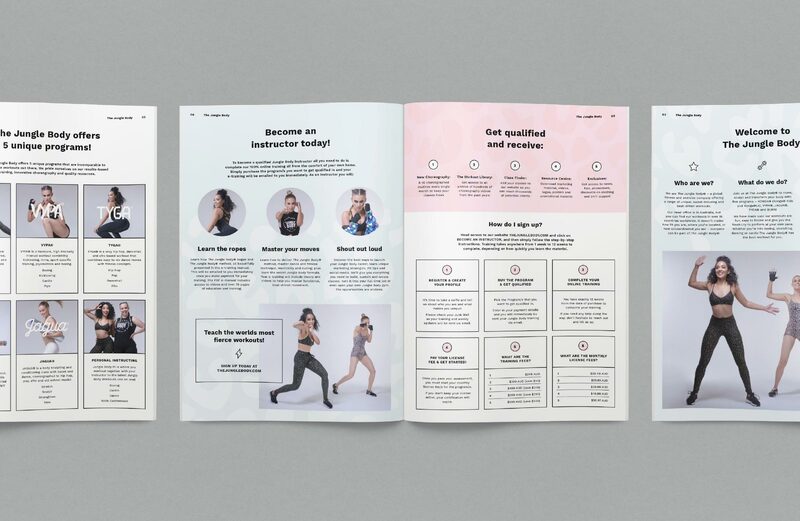 The Jungle Body approached Made Somewhere to reinvigorate their image with a contemporary identity that would create cohesion across their brand, sub-brands and multiple platforms. Made Somewhere created a lively and energetic brand that could be used and adapted on a global stage with consistency and recognition. 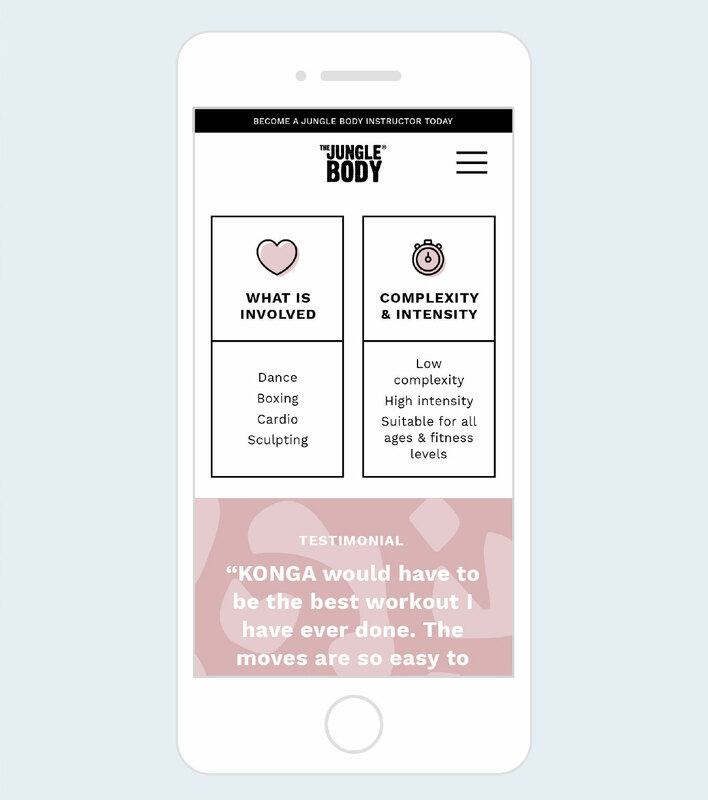 Made Somewhere applied this branding across various print and digital platforms including thejunglebody.com which received a major refresh, focusing on the user journey and promoting The Jungle Body and its brand, values, classes and sign-up process.